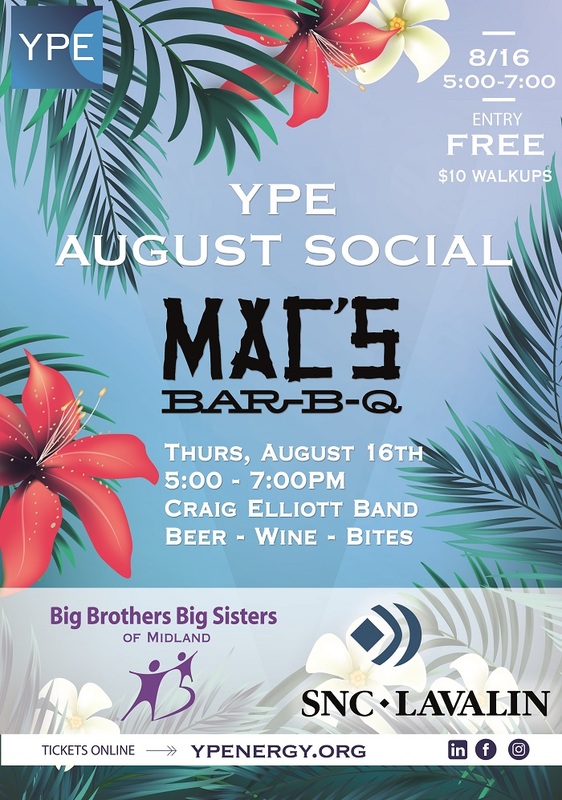 Please join us for our August Social co-hosted by Big Brothers Big Sisters of Midland and SNC Lavalin on Thursday, August 16th, from 5:00-7:00 at Mac's BBQ! Our event this month will include beer, wine, and bites, and will feature live music from the Craig Elliott Band, courtesy of our sponsors. This Event is free to all who pre-register, but walk-up attendees will be charged $10 at the door. Please register by 3:00 p.m. on August 16th.